Sunway Lagoon culminates the year-end with a big bash to commemorate turning 25 years old. 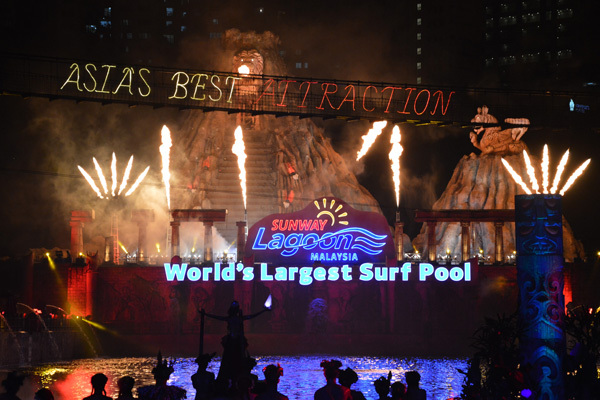 Having hosted many prestigious and international events and campaigns, as well as the ever expanding and innovative attractions within the park, Sunway Lagoon boasts having brought smiles to over 20 million visitors. To commemorate its momentous journey, Sunway Lagoon has collaborated with talented local artists, Caprice (Ariz Ramli), Mimi Fly (Mimi Norhisham) and Kaka Azraff (Nor Atiqa Noor Azraff) to create a song about Sunway Lagoon’s milestones dubbed “Experience It”. 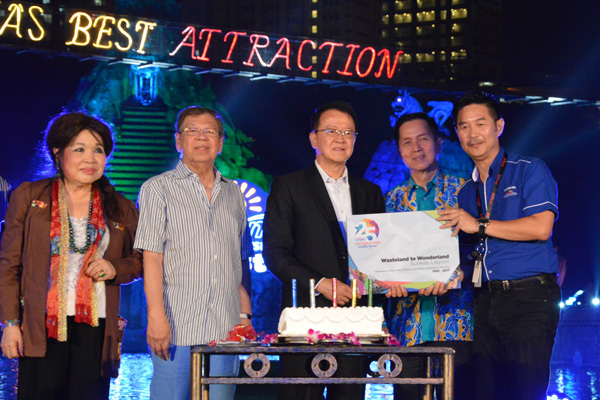 The premiere of the music video and song during the 25 Wonder Years celebration showcased Sunway Lagoon’s wide range of attractions which has put Malaysia on the world map. 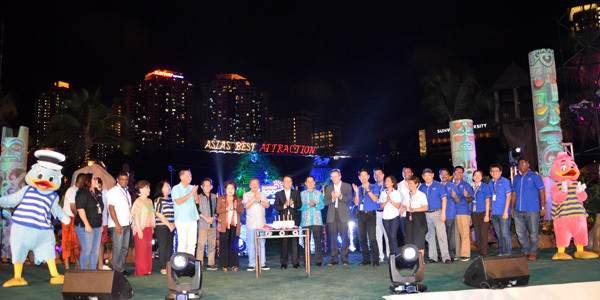 “Our success would not have been possible without the continuous support of our guests, partners and media in making Sunway Lagoon stand tall today. We will not rest on our laurels – we will continue to expand the brand’s presence and its offerings, be it locally and an international level,” he added. Speaking about their experience as part of the “Experience It” song, Caprice said that he grew up visiting the theme park, a staple name among Malaysians. The making of the music video rekindled some old memories for him and gave him the chance to try out new rides. Mimi Fly expressed it as her best experience by far to bungy jump at Sunway Lagoon. Not forgetting Kaka Azraff, who exclaimed her excitement when approached to be onboard the project – she feels that Sunway Lagoon truly epitomizes the spirit of Malaysians being capable of standing in the international arena. To further attest Sunway Lagoon’s prestigious achievements globally over the years, the brand has clinched three big awards this year. The premier theme park recently won the Family Theme Park category, regarded as the “Oscars” of the local hospitality and tourism industry, including being named ‘Brand of the Year’ in Kensington Palace’s World Branding Awards, for the very first time. The brand recently also won the Bronze at the 2017 People’s Choice Award (Entertainment) at the Putra Brand Awards, and was awarded as one of Asia’s “Employer of Choice” at the HR Asia Awards 2017. “Experience It” is now available for download on Spotify, KK Box, Joox, Yonder, Deezer. Watch the official music video at Sunway Lagoon Malaysia’s YouTube page at www.youtube.com/sunwaylagoonmalaysia. Celebrate 25 Wonder Years with Sunway Lagoon by sharing moments on your social pages with the #SL25Years and #ExperienceIt hashtags.